Shreak The Musical – Get Your Tickets Now! 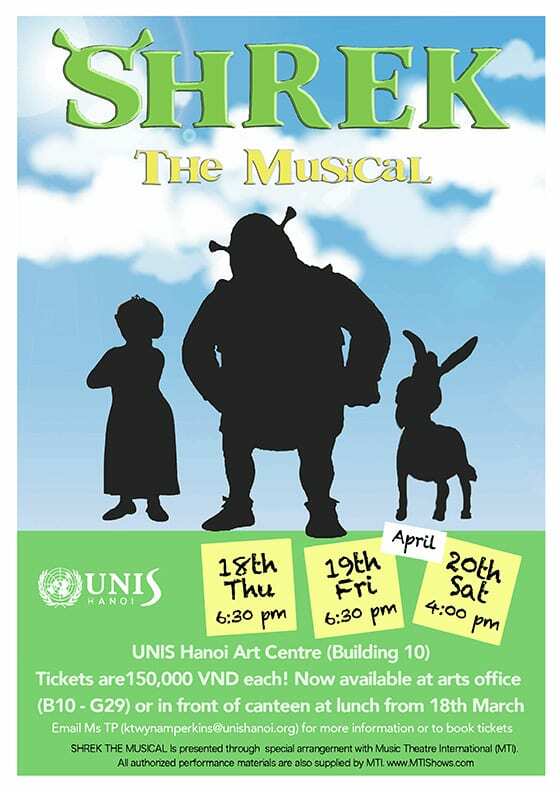 UNIS HaNoi high school students brings Shrek The Musical, a Tony Award-winning fairy tale adventure, featuring all new songs from Jeanine Tesori and a sidesplitting book by David Lindsay-Abaire to HaNoi. Shrek brings all the beloved characters you know from the film to life on stage and proves there’s more to the story than meets the ears. Tickets are on sale at 150,000VND each, can be purchased at the UNIS HaNoi Centre for the Arts Office or in front of the canteen during lunch.